This is a lovely umbel flowered perennial that is surprisingly rare in cultivation. Much favoured by garden designers, it has quiet charm and fits well into less formal flower borders, wildlife gardens, meadows and is especially happy to grow near water, although not needing a wet soil. In the first year Valeriana pyrenaica just produces a foxglove-like rosette of large heart shaped hairy leaves, from which strong flower stems start to arise in June. 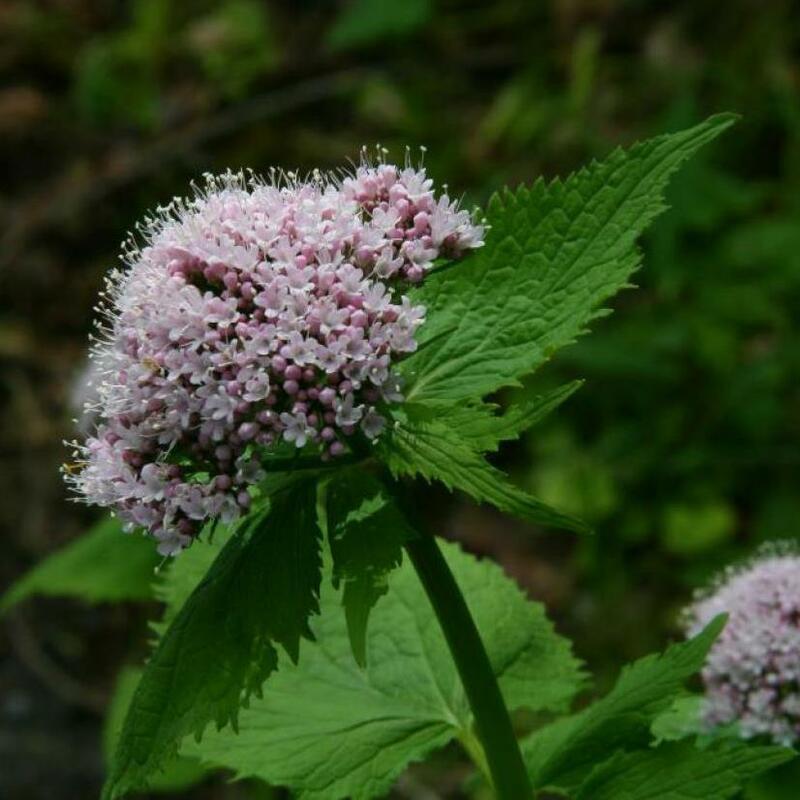 The stems rise eventually to a little over a metre tall, branching with large umbels of soft pink verbena like flowers. When the flowers are finished the stems with fluffy seeds are an attractive silhouette lasting well into the Autumn. 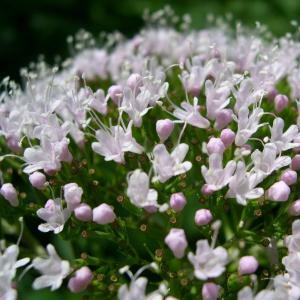 Pyrenean Valerian is a very easy perennial to cultivate, spreading slowly it will when happy gently self-seed. Best planted in groups of 3 or more for best effect, it associates well with other prairie style border perennials and ornamental grasses.